Has anyone tested the LH351C yet in comparison to 351B and 351D? Samsung LH351C 5000 K CRI90 color and output test by maukka. Yes, that one I found, too but I'm wondering why Cree states order codes for the XP-E2 far red and photo red but these are nowhere to get. Alright, gracias! 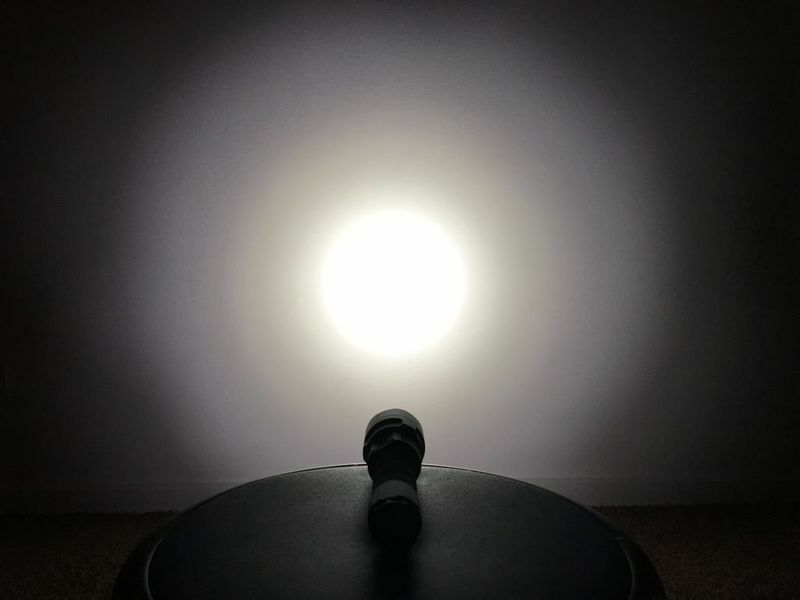 The 351D 4000K 70CRI with a top flux binning and same great characteristics as 351D 5000K 70CRI W6 would be a dream to come true. I'm sure that one would also sell great even without HighCRI but instead with tremendous high current capabilities. Just thinking of a D4S with 2x 4000K 70CRI and 2x 5000K 70CRI for a great neutralwhite 4500K beam and 5000+ lumens. I really really like BLF but working with quotes in the text editor is a real nightmare. No matter what I try when quoting something, it all ends up as an entire quote with my reply....aaaaarrrrghhh. There is also Deep Red (~660nm) and Far Red (~730nm) from Luminus (they can be driven to 1.5A as the doc says, maybe a bit above that), but that needs a different soldering mask, as the contacts are not in a 3.25mm sided square area as the SST-20W has them, but 2.7mm, so I don't know, where one could get a board, which fits that. ∅20mm MosX DTP aluminium -isolated thermal path- (Oslon Black & Black Flat, Luxeon IR). Currently, I’m looking for a reliable source to buy XP-E2 photo red (650-670nm) and XP-E2 far red (720-740nm) but I’m unsuccessful to find a seller. It looks like 1st gen XP-E is a lot easier to find, even though I think they’re discontinued by Cree. Price drop for remaining 351D 5000K. 1.6$/pcs 1-9pcs, 1.5$/pcs >10pcs. Because it is discussed here, I read on the Cree site that they updated the 660nm and 720nm XP-E’s, with improved output. MRsDNF, a very helpful and friendly BLF member from Australia helped me to figure out what Cutter has on stock. In the first place there were some mistakes on Cutter's website but thanks to MRsDNF and Mark (Cutter) it has all been sorted. They seem to have the latest revisions of XP-E2 photo red (now called "deep red") with 660nm wavelength and XP-E2 far red with 730nm wavelength. I.a.w. the bin codes these seem to be top rank bins. Maybe this could be a nice "add-on" for those who want to order the 3V XHP50.2 from Cutter? I'd like to share some beamshots / whitewall-shots of modified Sofirn C8F lights. These were equipped with Samsung LH351D / LH351B emitters bought from Andrey ("AEDe"). Once again, Большое спасибо for these wonderful LEDs, Andrey! All pictures were shot on iPhone 6S with manual settings. 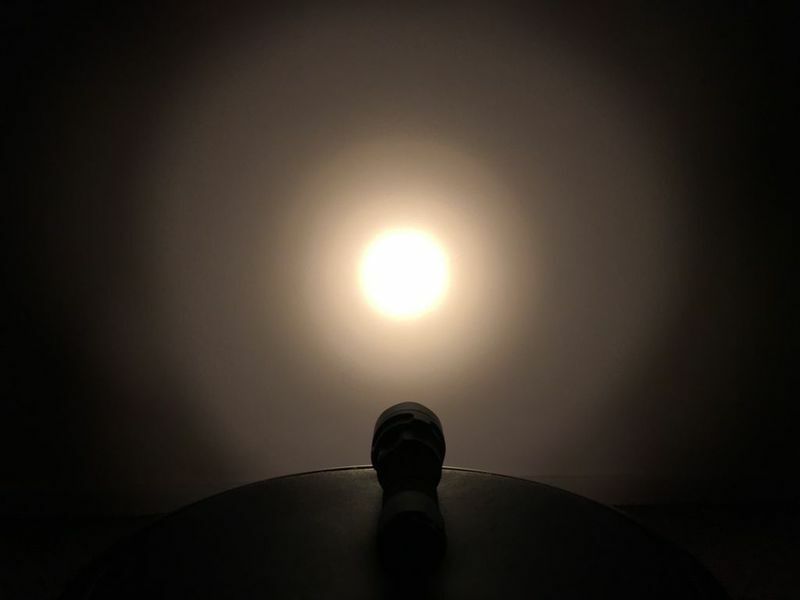 If you have any suggestions how to improve the beam quality comparison between those beamshots, I'd be glad to hear about it. My photography skills are very limited so far. Thanks Thomas for beamshots! Could you make one more with all of them simultaneously and in the same mode? Yes, I think that should be feasible but it might take a couple of days until I get to it. Nice pics! Those 5000K's look the worse to me as far as inconsistency. I got 3500k's in a few lights. Do you feel these pics represent what you see? As far as the rendition is concerned, yes – the pics reflect quite well what I saw with my own eyes. 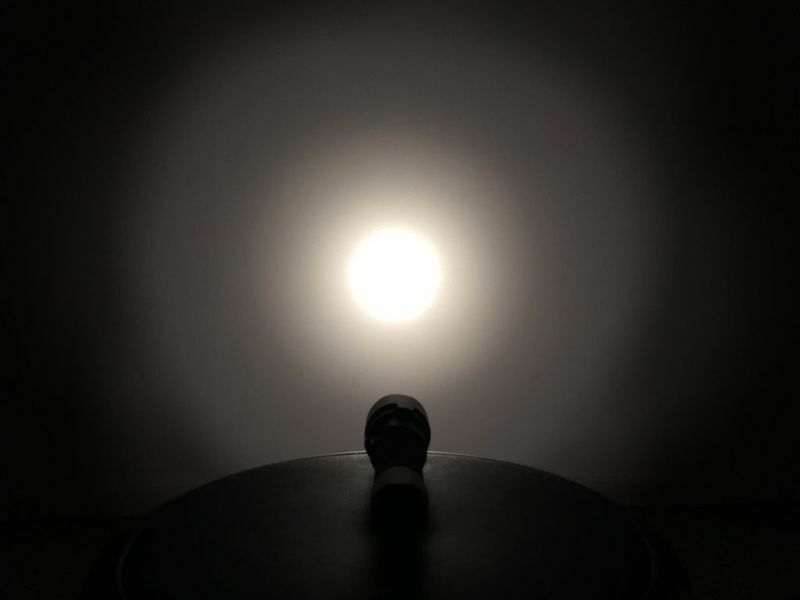 I agree that the LH351D 5000K 70CRI appears quite similar to the XP-L2 “fried egg” beam (yellow corona, blueish rim in the outer spill) but once you reach a distance of let’s say at least 3 meters you won’t recognize it anymore. 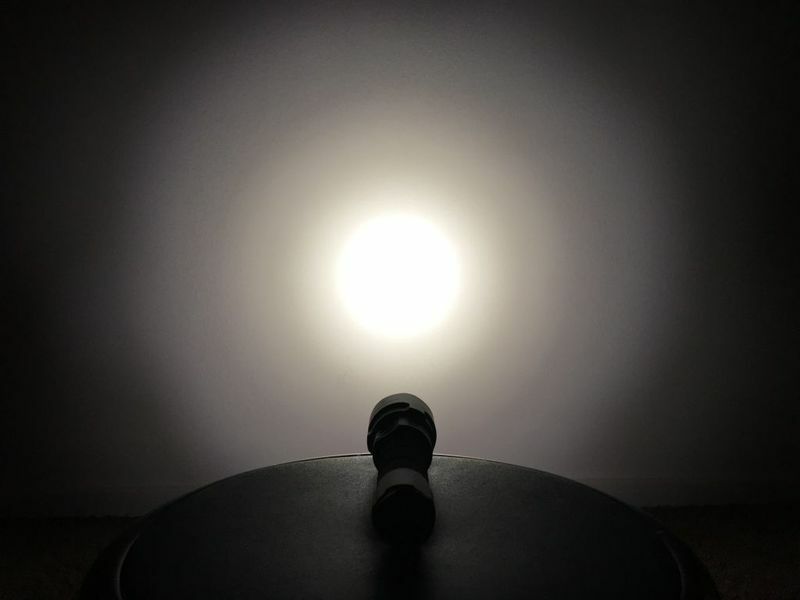 From a farther distance both 5000K 70CRI and 90CRI looked the same on a white wall. It might has something to do with the SMO reflector in combination with the LH351D but I can’t tell for sure. I guess Djozz once tested the LH351D in a Convoy C8 with SMO and reported something similar. Personally, I prefer the 4000K 90CRI most or – even better – a quad of 2× 4000K 70CRI / 2× 5000K 70CRI would be just perfect to gain a 4.500K beam profile with best efficiency (e.g. in an Emisar D4S or a P60 quad pill). Unfortunately, the 90CRI has less output than the 70CRI. 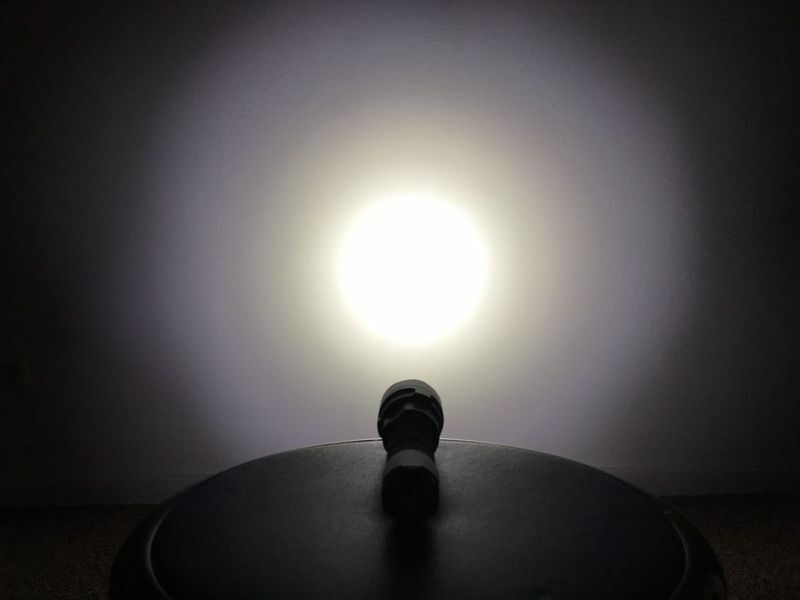 If you’re a fan of incandescent light, the LH351B 2.200K 80CRI is just fine. You get about 1,900 lumens on turbo with three of these emitters in the C8F 21700. Another benefit of the LH351B is its small die size, resulting in a more concentrated spot (= better throw). I prefer the 4000K range myself, but the 3500K SST-20's are looking ok to me so far, and I've been using an EDC, SWM C20C, with triple XPL HI 2700K's with a nice incandescent feel that I like in this light. Few years back I recall comparing indoor looks at first a 3C/3D, then 4D, then 5D, and it just got better and better, but if I went to a 7A/7B level, it was too much, and my preferences are still there. Thomas, unless you are doing “something” else in these cases, I am pretty sure you may be overdriving to some extent the LH351B emitters in such host. Don't you think? Oh! Well, I see the 21700-C8F's output isn't as impressive (versus 18650-C8F). FWIW, the C8F-21700 FET-driver is somehow limited or at least not as powerful as other FET drivers. It's quite hard to override a certain "threshold" of about 10A with this driver. Even with a Samsung 30T/40T you will not get that much above it. In terms of the LH351B it appears it can easily sustain a current of 3 - 3.5A, even though it's supposed to be driven to Imax = 1.5A i.a.w. the datasheet. Using the Sofirn brand battery (which appears to be a Lishen LR2170SA cell) the current for all three emitters is probably 9A or less.